An in-line stall set-up is an efficient, and economical solution for milking commercial herds. 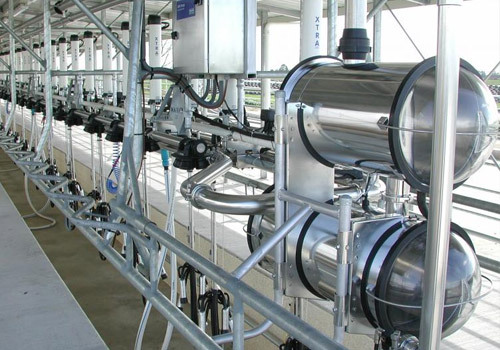 Typically an in-line system requires a smaller building footprint than a rotary platform, which may be important when siting your dairy facility. 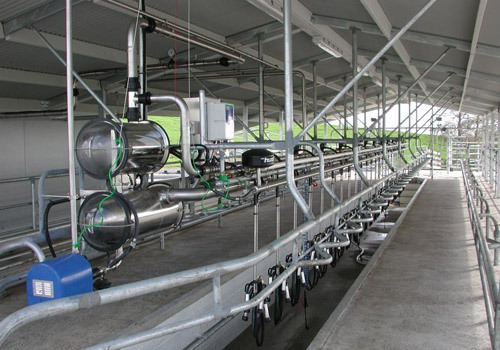 Waikato Milking Systems offers two in-line system options, Loopline and Supa4. Cows stand on an elevated linear platform in an angled or herringbone fashion facing away from the operator area. This exposes the udder of the cow to allow access to milk her from the side and room for a cup remover and associated equipment.